256. 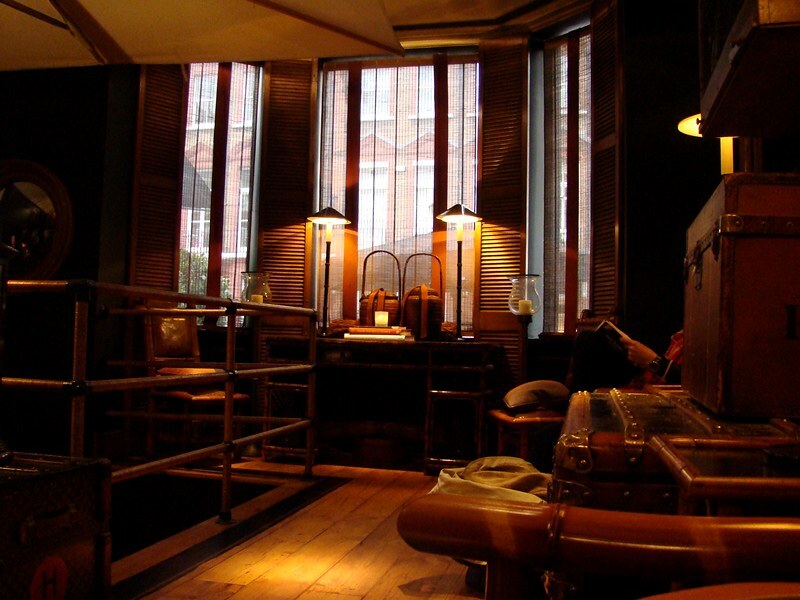 Blakes Hotel, London, England | ***** | LEFTBANKED. 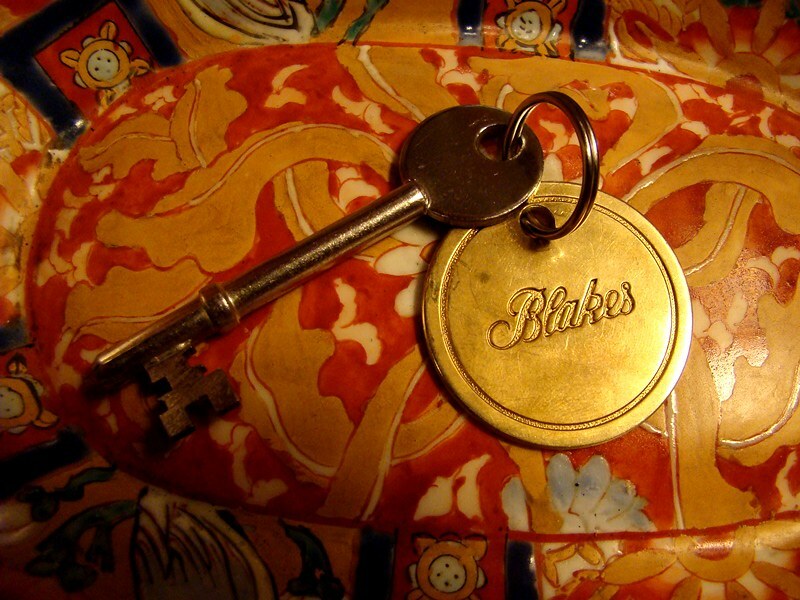 Blakes Hotel was one of the hotels I was looking forward to the most during my trip, and it certainly did not disappoint! 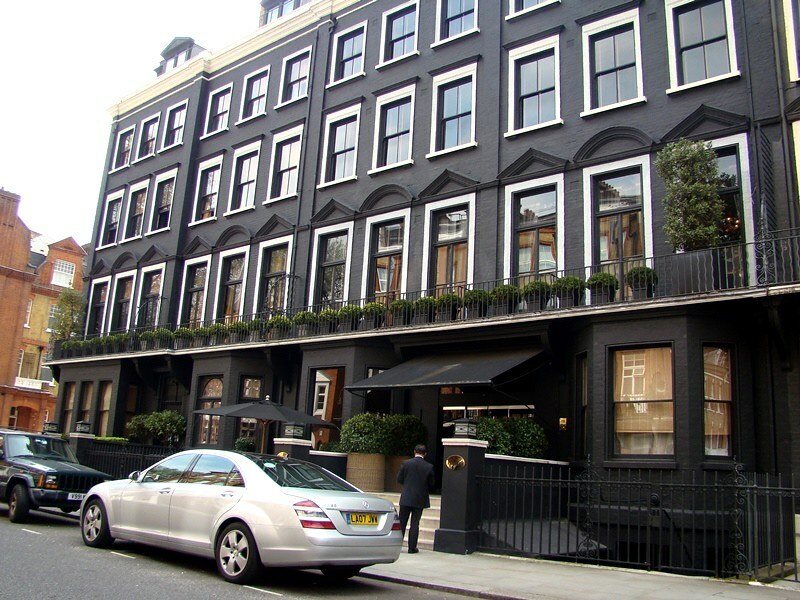 It was created and designed by Anouska Hempel, and considered the world's first luxury boutique hotel. 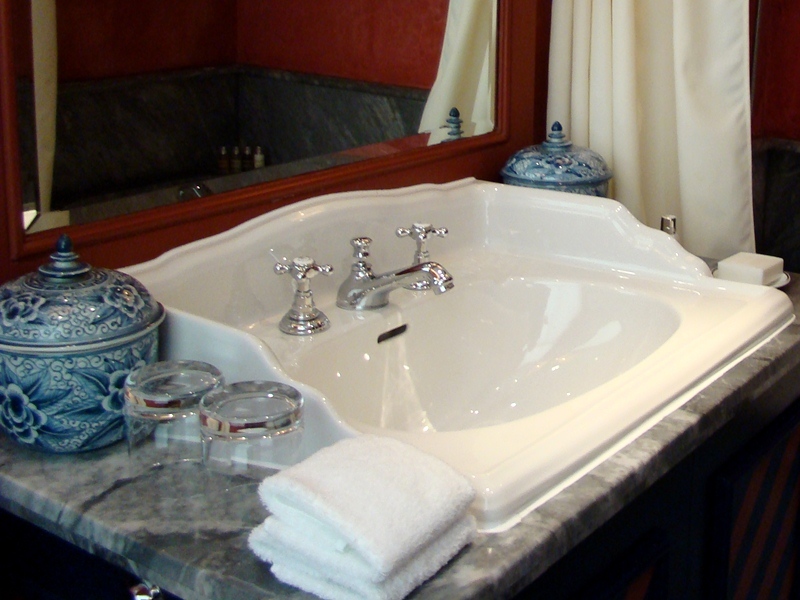 The elegant designs of the rooms were inspired by Hempel's exotic travels around the world. 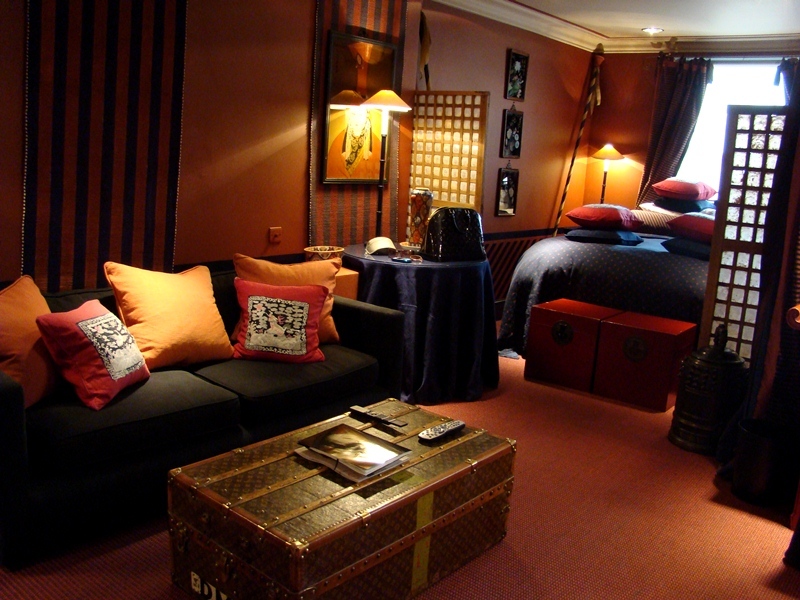 Numerous actors, actresses, musicians and top designers have stayed here in the past, which earned the hotel a reputation as the "couture hotel". 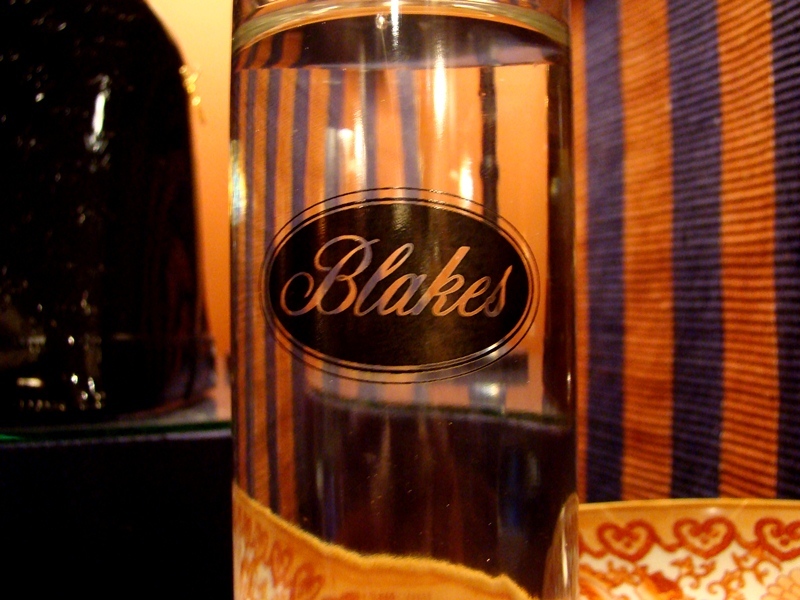 London was the first city on my itinerary, with Blakes being the first hotel. 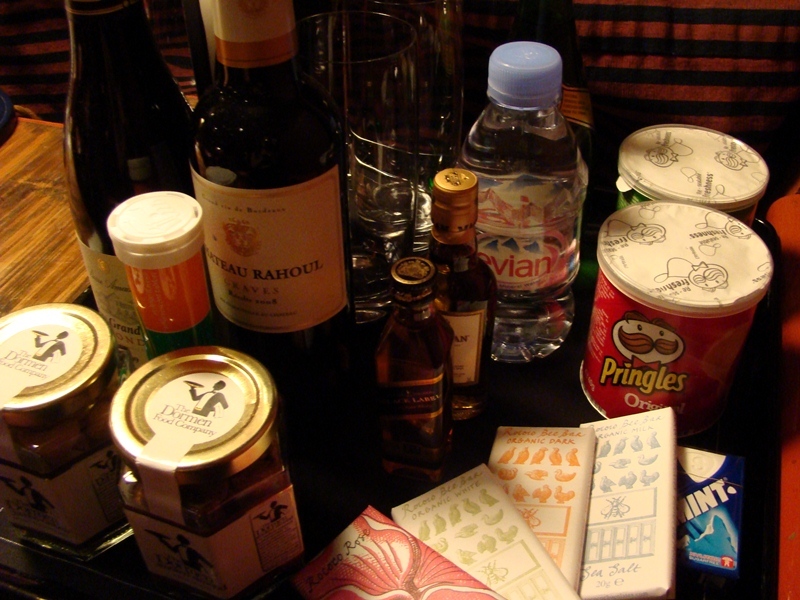 I had quite a stressful flight - main reason being that my luggage was lost and delayed. I already had a problem with my first flight, so that was not the ideal start to my trip. I was told by the airline customer service that they would deliver my luggage to me once (if?!) it arrived. So since I didn't have anything with me, I attempted to take the Tube for the first time. 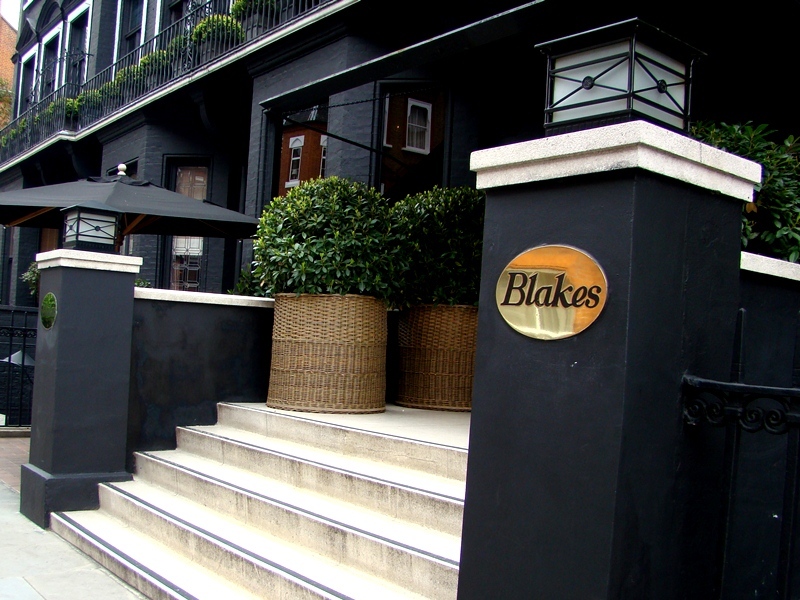 I successfully arrived at South Kensington station, hopped into one of those famous black cabs, then arrived at Blakes after maybe a 5-min ride. The hotel has a great location. It's at the end of a beautiful residential street. 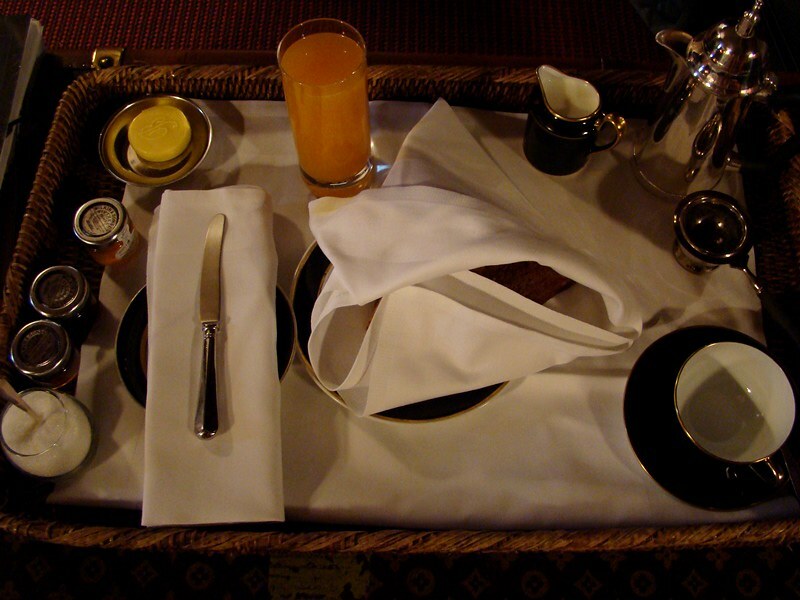 A short walk will bring you to many cafes, boutiques and several museums (V&A, Natural History Museum, etc). Jet-lagged, exhausted and preparing for the worst case scenario (that I wouldn't be able to get my luggage back), I was quite happy to get an early check-in and this beautiful "Director's Double" room. This is the bed. I can honestly say it was one of the comfiest beds I've ever slept in!! Out of all other hotel washrooms from this trip, this was my favourite. 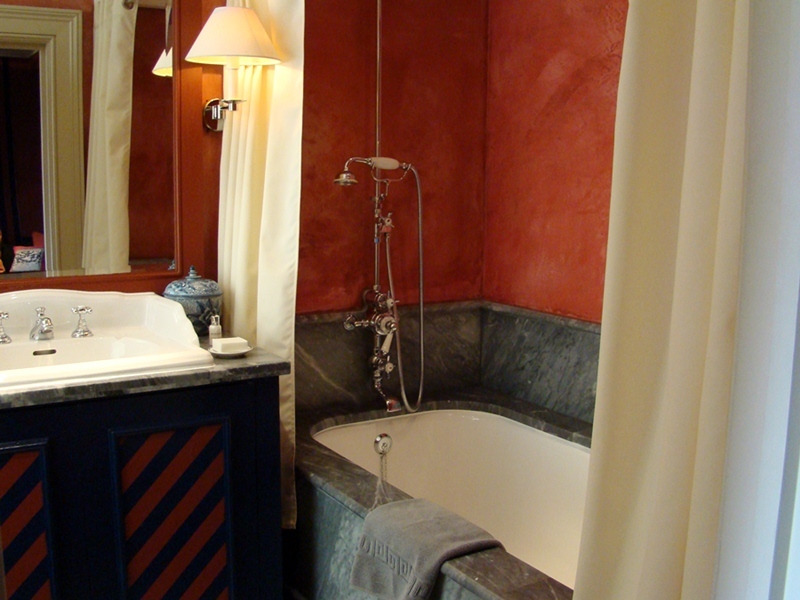 It was very well-equipped: lots of towels, Molton Brown toiletries, a bidet, fluffy bathrobes and my favourite - heated floors. 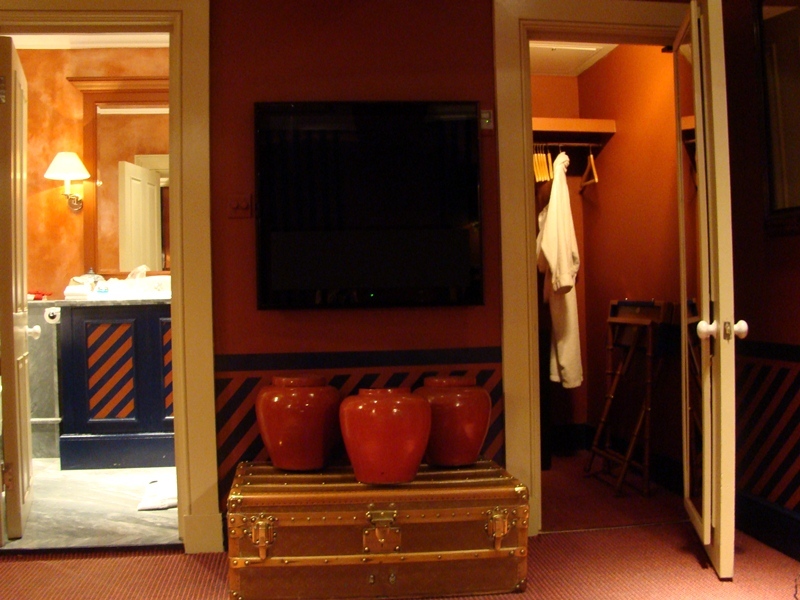 The room also has a Bang & Olufsen flat screen tv and walk-in closet with a mini-safe inside. 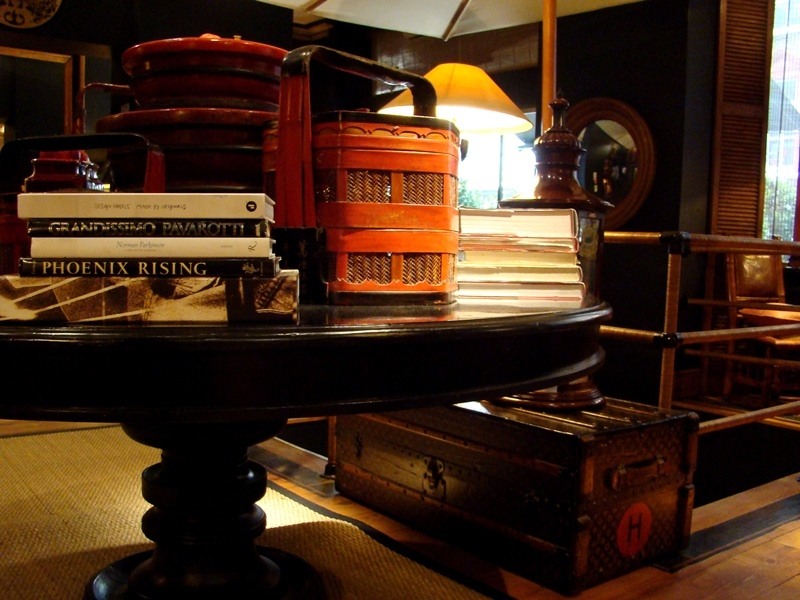 I did eventually get my luggage back in the evening that day, and it was promptly brought up to my room by the porter. I really enjoyed my stay at this hotel. The staff were excellent at providing directions and suggestions on where to go. If you plan on going to the Summer Olympics this year, or just visiting London in the future, I definitely recommend a stay here. The only minor issue I had here was the elevator. It's pretty small so you might have to take two trips if you have a lot of luggage, or if there are already people inside (as it can only fit a few people). 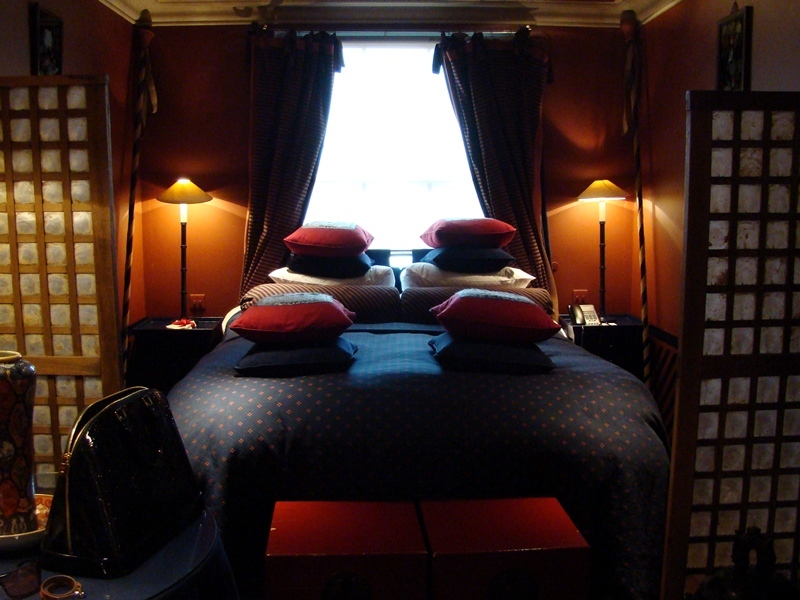 Location: A few minutes walk to South Kensington or Gloucester Road Tube stations. This hotel looks amazing! I definitely want to visit. I love the warm interior designs. wow that looks like a great hotel! your room looks amazing! sorry to hear about your luggage lost... but so glad you managed to get it all back! what did you fly with, air canada? WOW. What a hotel...i love that!!! Very nice blog and you have a new follower now! wow....a elegant and beautiful place!!! This is a beautitul hotel!! 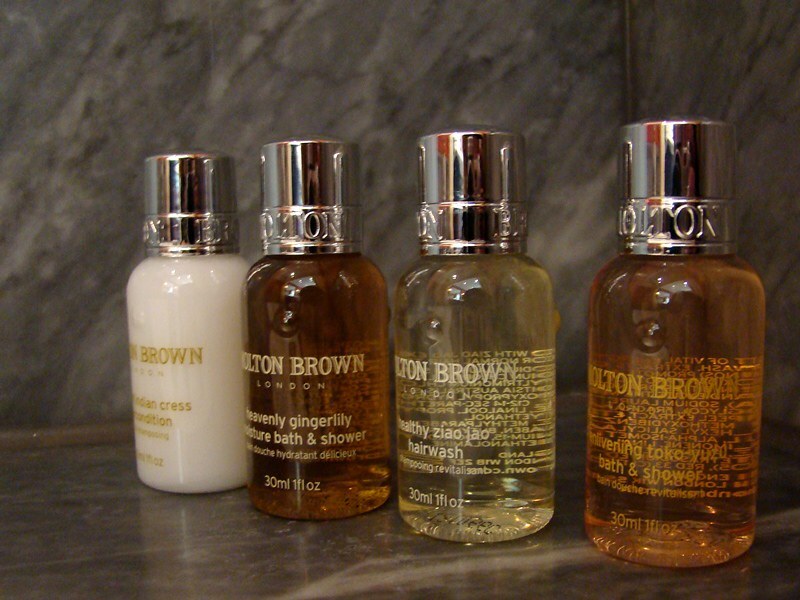 And they have Moltron Brown- Stuff in the bathroom! Love it! OMG, faboulous place and photos. looks like your euro trip is going really well. you've been staying at some amazing places. i never stayed at a hotel that's even close to this one, so i'm just going to live vicariously through you. thank you so much for the sweet comment and enjoy your european travels! ooh i want to go there!!! it looks so lush!! Wow this looks like an amazing hotel! Your euro trip looks very different than mine haha! I stayed in grubby, cheap hostels haha I am in awe of the hotel you stayed at! Dark and atmospheric! Looove it. Now I'm following you on Bloglovin!! Thanks babe! Just followed :) follow back! Thank you so much for finding my blog and commenting, it means so much!